One of the most important seaweeds in Japanese cuisine, kombu is versatile and delicious. 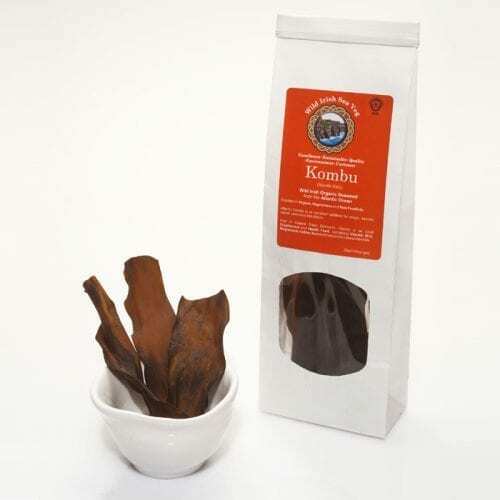 Kombu is rich in umami the fifth human taste – which subtly enhances other ingredients. Kombu is located in the extreme lower part of the shore; because the plant is so large the holdfast is very large and is securely attached to rocks. 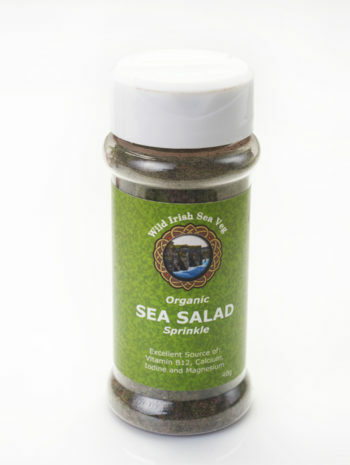 It can be sustainably harvested during low spring tides all year round. Other Names: Oarweed, tangle kelp, sea ribbon, leathrach coirrleach. Taste: A savoury, sea flavour with hints of smoke. Texture: Thick fleshy consistency with a light bite to it. To rehydrate: Soak in cold water for up to 10 mins. Use the soaking water to flavour dishes. Salted: Wash salt off thoroughly before use. Fresh: Rinse gently before use. 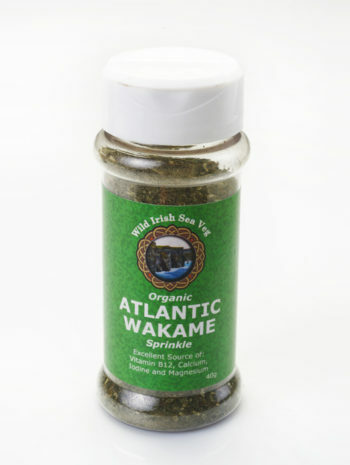 Can be used dry (wipe gently before use), fresh (or rehydrated) or cooked simmer for up to 40mins. Pickling: Adding fresh or dried kombu to vegetables while pickling them gives a pleasant depth and savouriness to the finished dish. Pickled kombu can be used in tartare sauce. Boil/steam: Serve as a side vegetable, add to stews, soups. Bake: Wrap fish or chicken in fresh or rehydrated kombu and bake or steam for a rich succulent finish. Fry: Stir-fry fresh or rehydrated kombu with beef, add to beef burgers or meatballs. 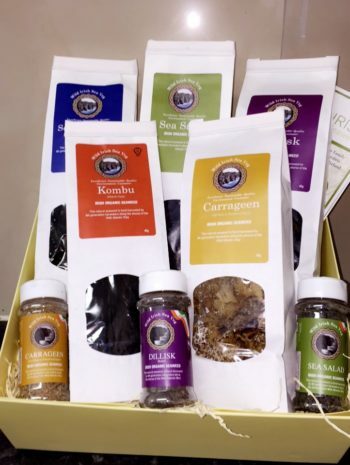 Goes well with Beef, chicken, fish and seafood, smoked fish, pulses, vinegar, dried mushrooms and rice. High in: Iodine, Calcium, Magnesium, Potassium. Contains: Iron, Sodium, Chromium, Fibre and Protein. Vitamins: A, C, D, E, K, B complex.